“I’m the lowest form of celebrity!” declares Celeste Holm as Karen, the lowly “playwright’s wife” in the 1950 classic All About Eve. The boxing part? We get that. Even if DMX promised to “break every rule in boxing” in order to “f**k him up right,” we get that, should this match go forward, two people will be in a ring trying to knock each other senseless. That’s more or less boxing. It’s the first part – the celebrity half of “celebrity boxing” — that’s causing us, and just about everyone else in the blogosphere, to reach for the smelling salts. Of course, it’s no secret that, to some, Zimmerman is already a celebrity (and, sickeningly, to many, probably a hero). How else could Zimmerman’s paintings — widely reviled for their lack of artistic ability and demonstrably ripped off from images owned by the Associated Press and Shutterstock — sell for six figures on eBay? What’s going on here? Is this the equivalent of your mean high-school gym teacher hopping on the dunk tank at the county fair? Or is this, as we suspect, Zimmerman’s disgusting bid to keep his name famous at any cost? 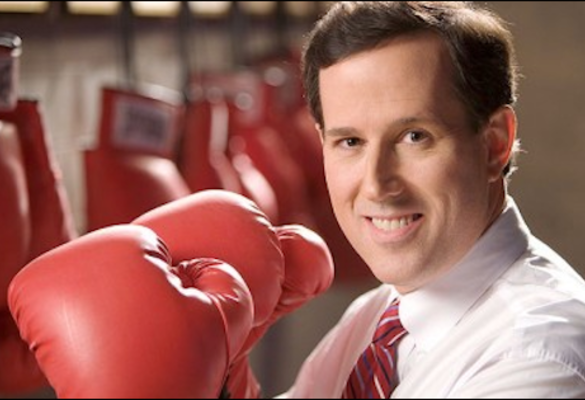 The proposed boxing match — which was Zimmerman’s idea – looks like a desperate bid for a kind of celebrity that’s already down for the count. But what if we’re wrong? What if this is the beginning of a new form of justice played out for the public? What if everyone decides that boxing is really the best way to settle old scores? So is this the wave of the future? If yes, where will it all lead? We have a few ideas. So we’re asking you: If the world decides that old grudges are best hashed out in a boxing ring, which one would YOU watch? Vote and let us know! « How Much Would You Pay?